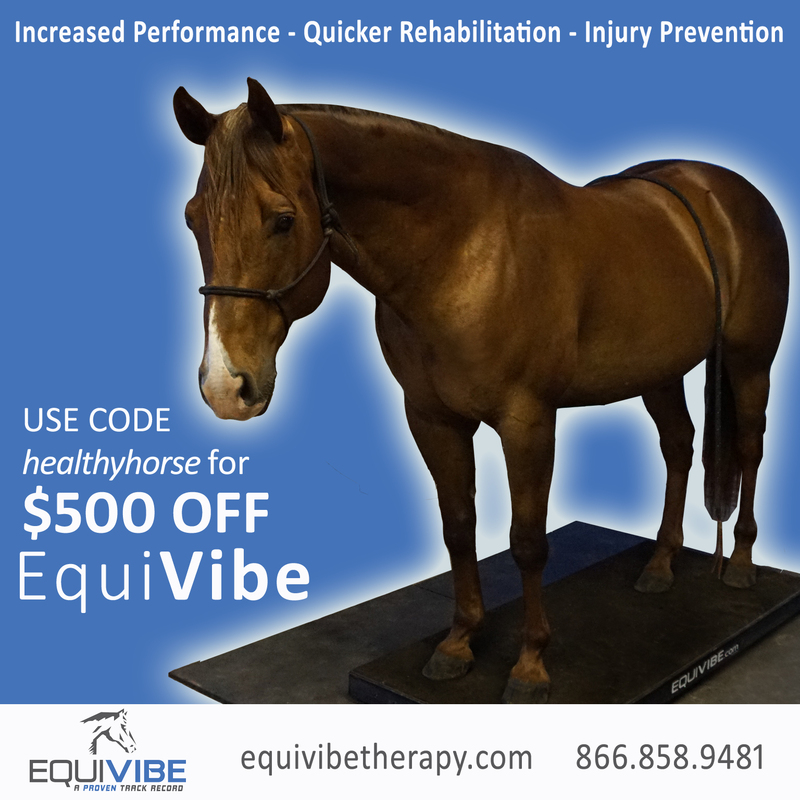 Lately we’ve been exploring the ways it’s quite possible to restore health and soundness even in performance horses with existing pathologies. If I could give you one piece of advice tough, it would be this – be as pro-active as you can about preventing them to begin with. Today I’m happy to share a number of tips for doing just that. 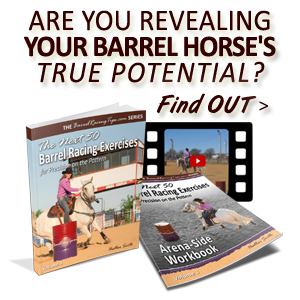 If you’ve ever experienced the heartbreak of nursing a barrel horse through a potentially career-ending injury, you’re probably extra motivated to do everything possible to prevent it from happening again! While there are legitimately things we cannot control in life, there are many more things we CAN control that we don’t even realize. Did you know for example, that many people mistake posture for conformation? Or did you know that your horse’s “style” on the pattern can actually be changed? While genetics certainly DO play a big part in how our horses look and move, the WAY in which we ask our horses to arrange their bodies (and the reward they receive for doing so) can be literally life-changing. 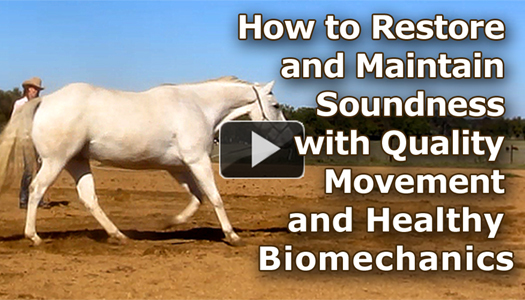 Developing healthy movement patterns not only has the power to change a horse’s seemingly innate “style,” it can also completely change a horse’s physique. The epidemic of micromanagement in the horse world is something I’ve touched on a few times here at BarrelRacingTips.com. But there’s another dangerous destroyer of barrel racing dreams lurking in the timed speed event world. It’s the crazy-making cycle that occurs between responsiveness and reactivity that we all too common get stuck in. For many years, everything in the way I’d been developing my horses looked great, way above average you could say. But on the inside I was frustrated and on the outside, I wasn’t clocking as consistently as I would have liked. After a few consecutive light bulb moments, I discovered a missing link. But it’s not just MY missing link. It’s very likely yours too. https://www.barrelracingtips.com/wp-content/uploads/2018/06/barrelracingtips.png 0 0 Heather Smith https://www.barrelracingtips.com/wp-content/uploads/2018/06/barrelracingtips.png Heather Smith2014-09-02 01:00:242018-09-08 23:57:08Five Keys to Consistency – Create Dependable Focus, Responsiveness and RESULTS! 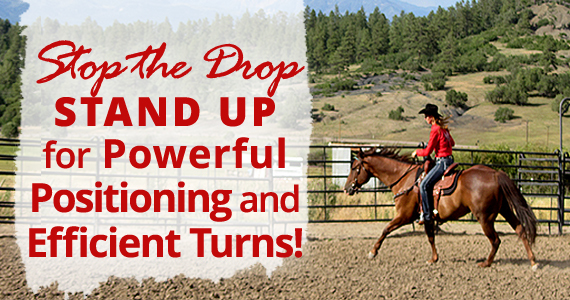 STOP the Drop – STAND UP for Powerful Positioning and Efficient Turns! Listen to this article in audio form! 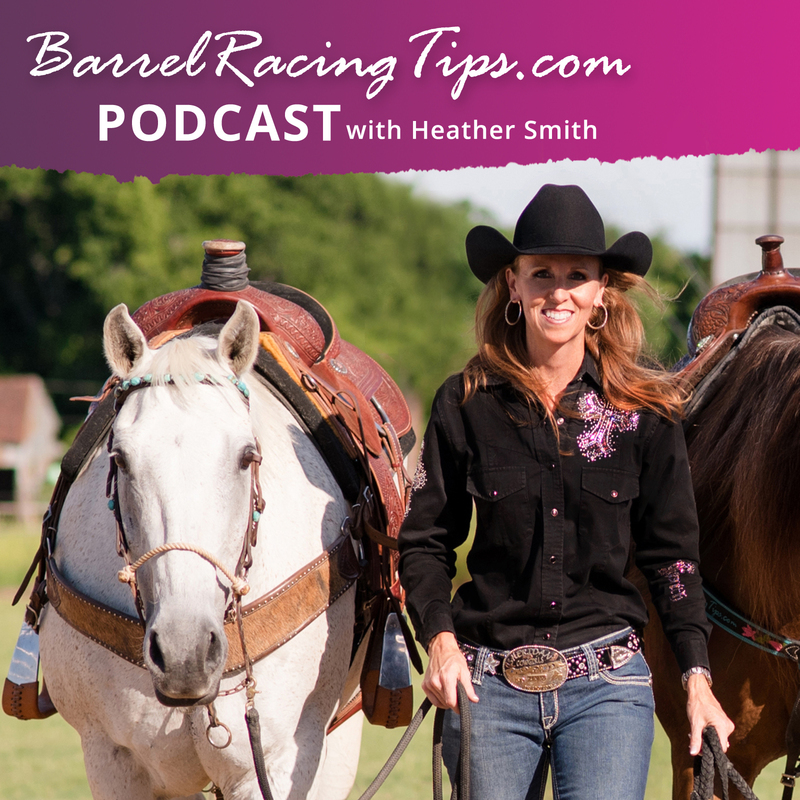 It’s #59 on the Barrel Racing Tips podcast. For the latest episodes subscribe on iTunes, Spotify, TuneIn, Stitcher or Google Play. 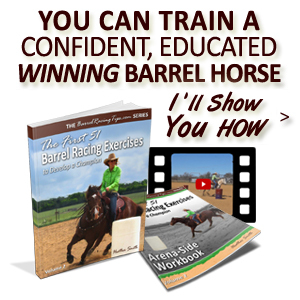 If you’ve been following the action at BarrelRacingTips.com for a while, you know that I often stress the importance of instilling an education in horses that allows us to move their body anywhere, at any time. 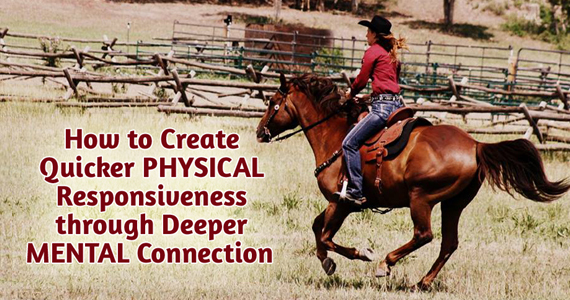 We must have a high degree of understanding, communication and responsiveness to have influence over our horse’s body position at speed especially. https://www.barrelracingtips.com/wp-content/uploads/2018/06/barrelracingtips.png 0 0 Heather Smith https://www.barrelracingtips.com/wp-content/uploads/2018/06/barrelracingtips.png Heather Smith2014-08-19 01:00:102019-04-19 12:35:06STOP the Drop - STAND UP for Powerful Positioning and Efficient Turns! There’s an problem of epidemic proportions in the timed speed event world. It’s what winning runs are made of. Connection (lack of it, specifically) is so often what stands between shaving that last half second off… or NOT clocking, yet again. It’s no surprise that an understanding of true connection, and HOW to create it goes under the radar. 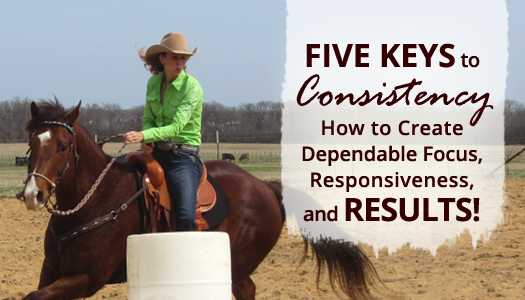 Two years ago, in “Get Connected to Shave Time Off the Clock,” I started sharing insight on this subject, as well as three exercises for getting on the same page with your horse. Like the layers of an onion, true dedication to never ending self-development means that I’ve taken my understandings in this area even deeper since then. First, let’s consider that in the timed speed event world especially, we’re all on a strict, unforgiving timeline. 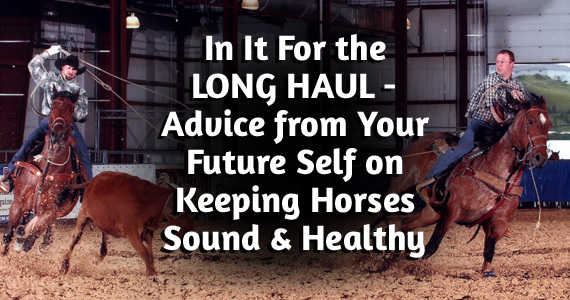 From the beginning of our young horse’s development, we’re already thinking about how to get things done – FAST. With the end in mind, we either don’t know, or simply forget to use our energy and focus – to offer a horse a FEEL, to set it up and wait. When we fail to do this, we fall into a rut of drilling instead of teaching. 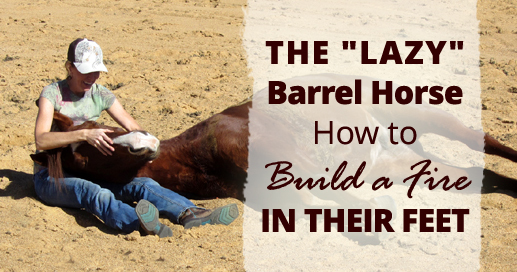 The “Lazy” Barrel Horse – How to Build a FIRE in Their Feet! Ask yourself this – what’s your default response like when faced with a challenge? When it comes to problem solving (in any area of life), I’ve personally found changing my perspective to be highly effective. On one hand, I appreciate his easy going tendencies. He’s confident, comfortable and content in nearly all situations, and I can haul all over the country without him becoming overly stressed, losing weight, etc. He handles the pressure of speed event competition like a champ. Of course, I’d like to take a little credit for him being so solid, however I have to admit it has a lot to do with how he’s wired by nature. Pistol as a youngster, relaxing with friends. It’s probably accurate to say that the majority of barrel racers don’t have a problem with “lazy” horses, but yet perhaps you’ve had moments when you’ve needed more electric energy and quickness from your horse. There’s no doubt having a burst of energy available in the split second you need it most can dramatically affect your success! It actually took me quite a while to effectively and authentically motivate Pistol. He was just unmotivated, in large part because I wasn’t very interesting. How’s that for a change in perspective? https://www.barrelracingtips.com/wp-content/uploads/2018/06/barrelracingtips.png 0 0 Heather Smith https://www.barrelracingtips.com/wp-content/uploads/2018/06/barrelracingtips.png Heather Smith2014-07-01 01:00:562018-09-09 00:58:54The "Lazy" Barrel Horse - How to Build a FIRE in Their Feet! A few months ago, I introduced the concept of RSPA or “rate/shape point anxiety” and it’s damaging effects. I also shared a video post in which I walked through the process of acing the first barrel with my simple 3×3 Troubleshooting Plan. The second barrel turn on the other hand, creates a challenge unlike any other, thus making it the most commonly tipped barrel. 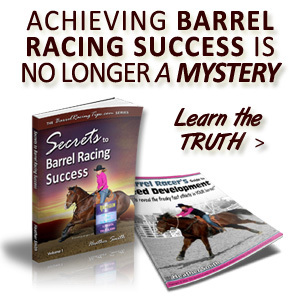 This is in large part because we have the shortest distance between barrels and happen to be running straight into a wall – which often doesn’t have much real estate behind it, contributing to horse’s tendencies to “get short” and anticipate the turn. 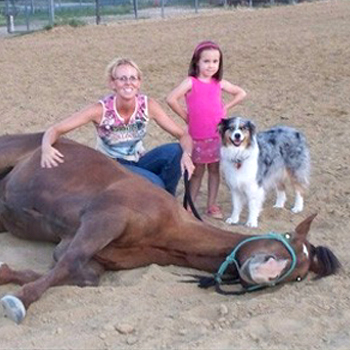 There’s so much more to resolving this problem than “picking a horse’s shoulder up,” however. 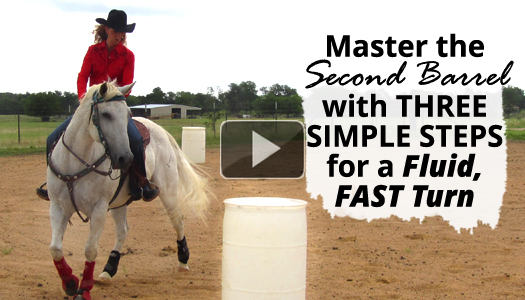 If you take the right steps, you can blast across the pen with speed and good timing to nail your second barrel without stutter steps, hesitation, dropping in, or all the other unpleasantries that are SO common. As you’ll learn in the video below, anticipation at the second barrel can become a thing of the past, but only if we take two steps back to intelligently consider the problem as it’s source AND solve it in a complete, thorough, and multi-faceted way. Have you ever been a little indecisive when it comes to exactly what you should do, and when, in your warm up? I used to be. When you’re getting ready to put all your hard work and effort on the line, it’s no fun to second-guess yourself. 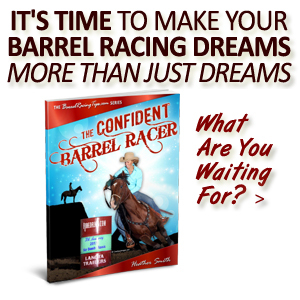 In fact, the only way to truly blast down the alley with confidence is by being absolutely certain of the steps you’ve taken to prepare yourself and your horse. Those final moments before the gate opens especially, can make you or break you. 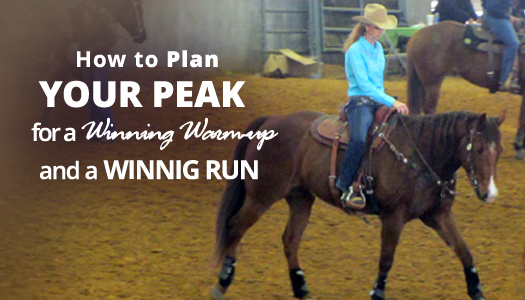 Thankfully, I’ve gained a ton of clarity over the years when it comes to creating a customized warm up plan based on my preferences, each horse’s individual needs, and the conditions I’m competing under. There’s simply no room for doubt at the top, and that’s exactly where I intend to take you! https://www.barrelracingtips.com/wp-content/uploads/2018/06/barrelracingtips.png 0 0 Heather Smith https://www.barrelracingtips.com/wp-content/uploads/2018/06/barrelracingtips.png Heather Smith2014-05-13 01:00:592018-09-12 20:41:50How to Plan Your Peak for a Winning Warm-Up and a Winning Run!